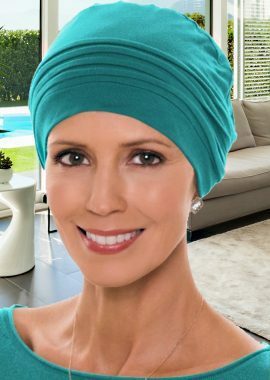 The bamboo cuddle hat is as striking as it is comfortable. 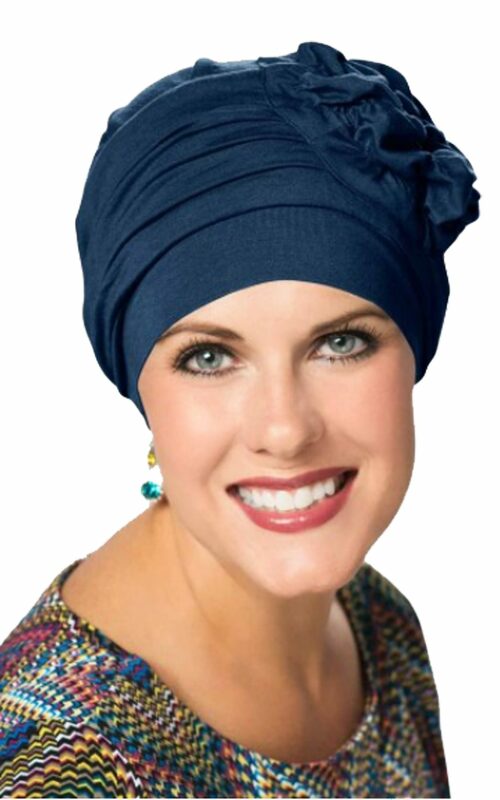 Featuring a gorgeous rosette on the side and pleating through the front to add fullness. 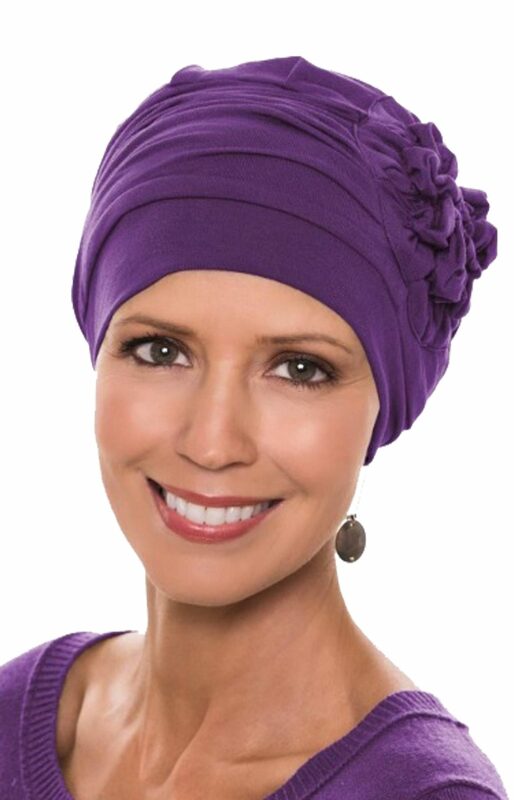 This fully lined cap provides complete head coverage and is ideal for hair loss with no exposed seams on the inside. 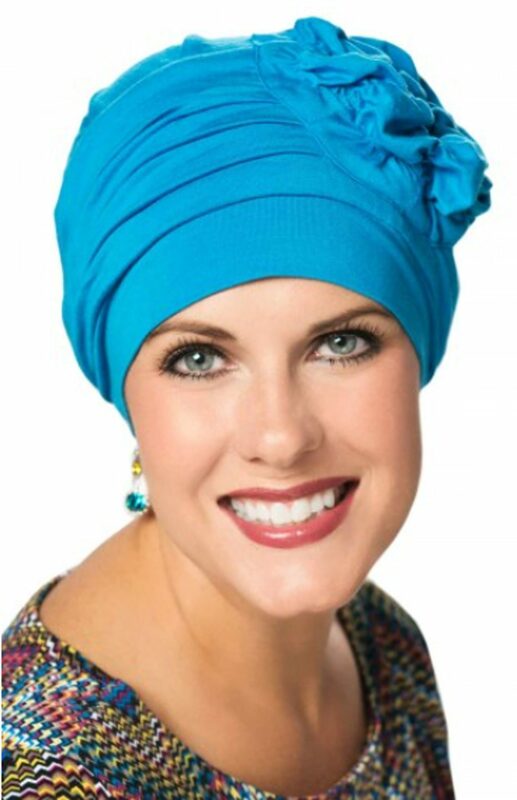 Dimensions: One size fits most. 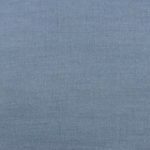 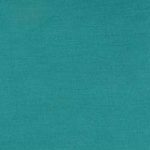  Bamboo fabric is softer than cotton with the texture similar to silk. 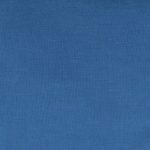 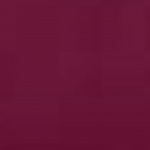 Its also quick to absorb moisture, therefore keeping you dry and odour free. 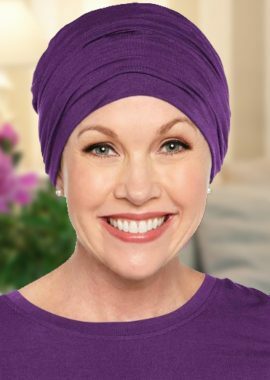 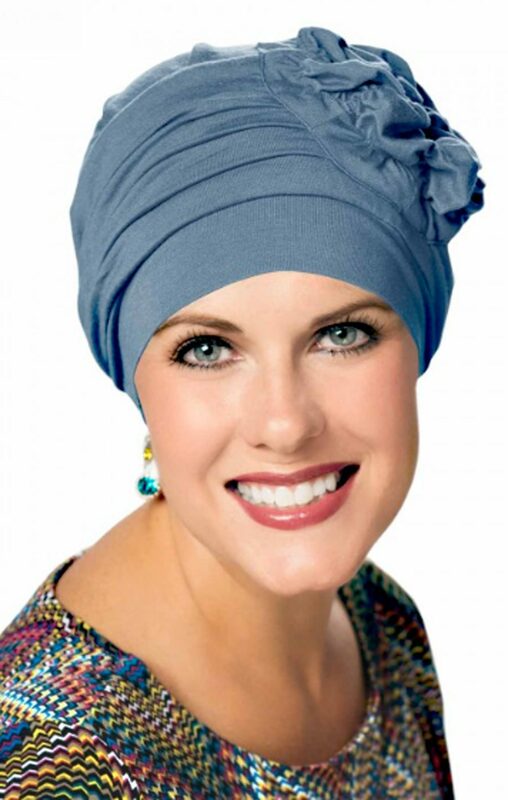 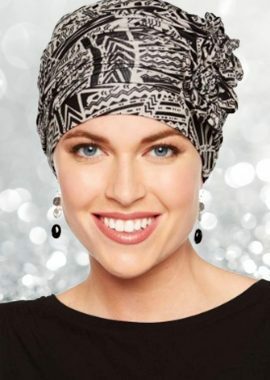 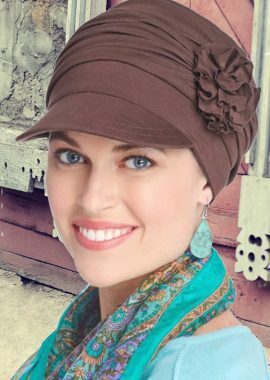 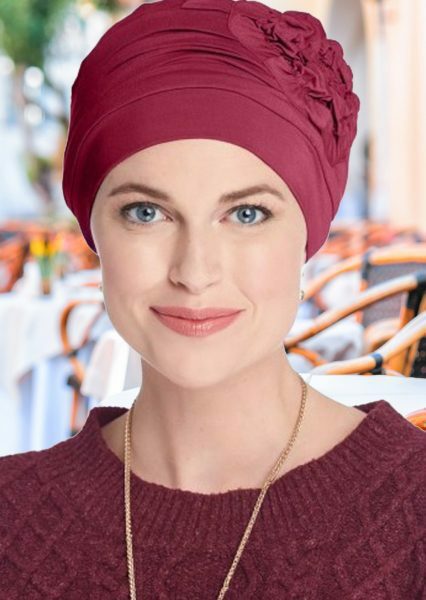 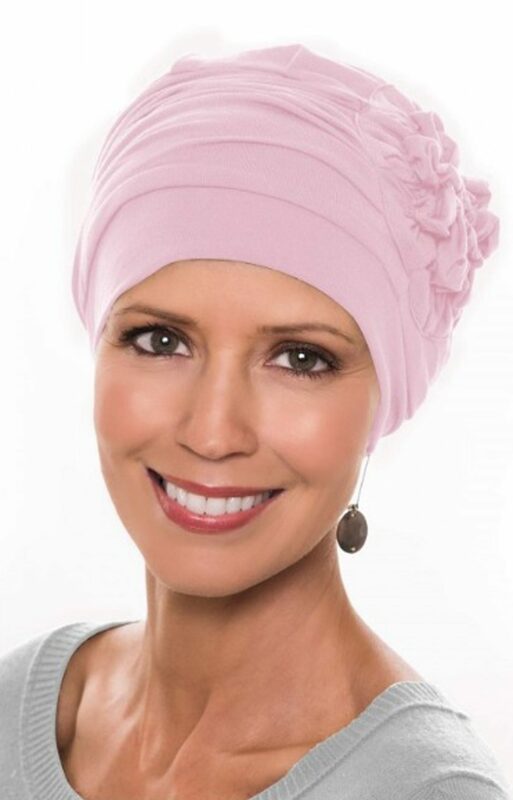 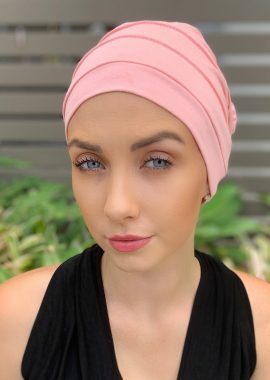 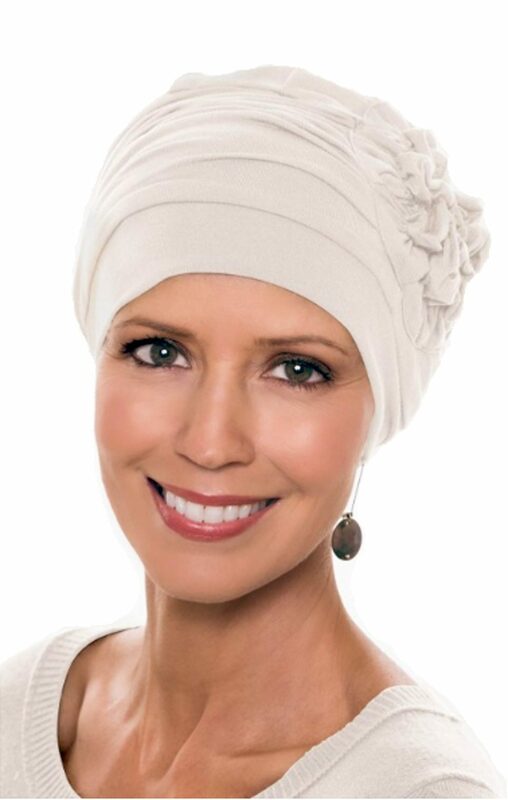 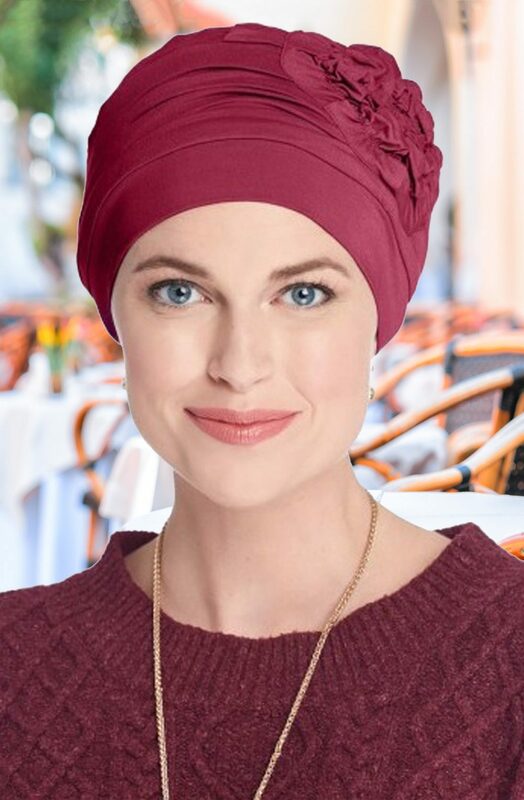 Bamboo turbans can be worn all year round as they keep you cool in summer and warm in winter.